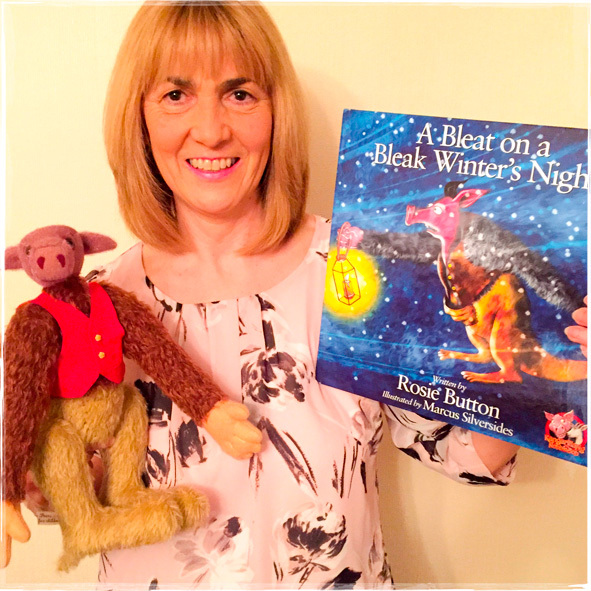 I am the author of ‘A Bleat on a Bleak Winter’s Night’, and creator of the characters Kangarillapig and NobbleBob. This is my first picture book and I am thrilled with the success. I have many more stories to share as well as a range of funny poems. I am looking forward to publishing many more books about these characters. My dream is for my books to be on every child’s bookshelf. The book has enchanting illustrations and is appealing to children as young as three as it will aid them in becoming visually literate and introduce the concept of reading yet it will also appeal to children as old as 8 as the text expands their young minds through the use of descriptive language. Furthermore it is a great story. As well as working on my writing, I teach in a primary school. I love working as a teacher and have always loved writing and encouraged others to write. I am really excited to be part of the Geronimo festival and can’t wait to introduce Kangarillapig and NobbleBob to the children. I am looking forward to delivering some great storytelling sessions and sharing some really humorous poems.